The fun thing about working in robotics is that you get to turn the sorts of things we only see in science fiction into reality. The downside is that most people’s perceptions of robots are heavily informed by science fiction rather than reality—I’m fairly sure my grandparents were all convinced I build C-3PO for a living. When pop culture clashes with the way technologists understand and define things, we end up with a surprisingly complicated question: What is a robot? A common answer is, “anything that senses, thinks, and acts.” By this definition, vending machines, dishwashers, and other appliances are robots. I’ve heard 3D printers thrown into the mix, too. I’ve even seen the media start to use the term “robot” to describe anything that might take our jobs, so the word has grown to encompass high-frequency trading algorithms and machine learning-driven chatbots that have no physical form. While it is sometimes hard to say what a robot is, it is often easy to say what it is not. And I can comfortably say that all of these things are not robots. A different definition might be, “an electromechanical system that senses and acts, and at least one axis of sensing or action must take place externally to itself.” For example, an underwater robot might adjust its autonomously navigated path through water by responding to obstacles on the seafloor—it is sensing something outside of itself to modify its actions. 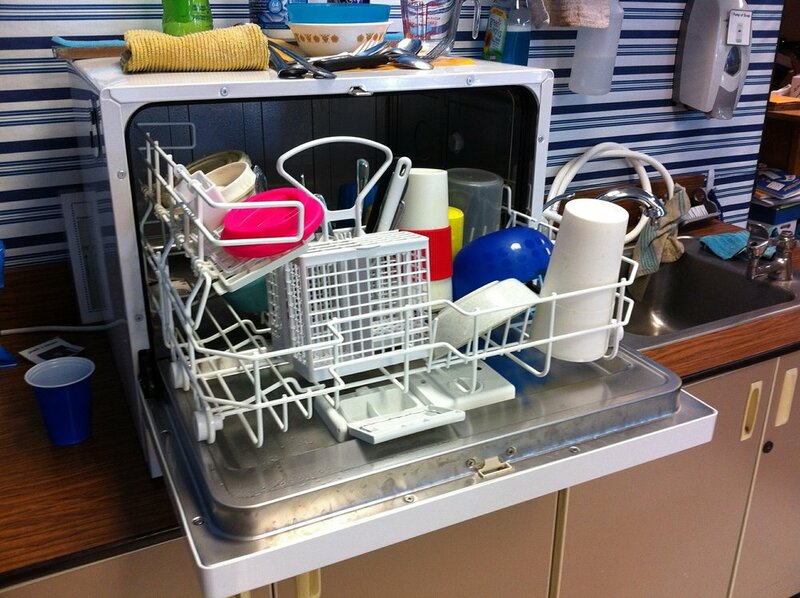 In contrast, a dishwasher only senses and acts within its own self-contained world. It was not that long ago that people in trendy high-tech robotics startups—myself included—didn’t consider the powerful industrial robotic arms used in factory settings to really be “robots.” The thinking was that robotic arms lack both awareness about anything external to themselves and the intelligence to adapt to changing situations, so they didn’t count. However, my time working at Veo has made it clear to me that there is no such thing as “just an arm” on an assembly line. When an arm is installed, so are a variety of sensors and industrial computers that provide it with a wealth of information about the process it’s working on and, increasingly, about the world around it. With this information, the arm can operate with intelligence and awareness: Is the end effector open or closed? Is the workpiece safely gripped? Is there a new piece ready for pickup? Is that weld high enough quality? And, most importantly, is there a human nearby? The arm, its sensors, and its computing power are, in effect, a distributed robot. It is not contained in a single box with wheels; its components are mounted at various points around a workcell, all ultimately connected to the arm’s controller. And, as technology advances, so does the awareness and intelligence of these industrial robot systems. At Veo, we are working on a huge step change in industrial robot awareness—sensors that give factory robots a dynamic measurement of how close a person is at any time, allowing them to be aware of and react to external variables like humans walking into, out of, and around workcells. So regardless of your version of the definition of robot, I think it’s safe to say that industrial robot systems are, in fact, robots, their pieces are just spread out. In reality, the argument over the word “robot” should be moot. It is, perhaps, more worth our time to talk about “robotics,” because all robots are robotic, but not all robotic things are robots. Robotics refers to the fundamental technology of sensing, thinking, and acting that underpins many different types of systems, including robots. Industrial automation systems like the ones Veo works with are absolutely robotic systems, whether or not we agree about the axes of sensing and actuation. So are underwater robots. So are self-driving cars. And yes, even dishwashers and 3D printers take advantage of many aspects of robotic technology to do what they do. In all likelihood, in the same way that you wouldn’t call your car a “computer” even though it uses computing technology, we will soon no longer think about the machines that use robotics as “robots”—robotic technology will just be in everything we use and we’ll stop noticing. 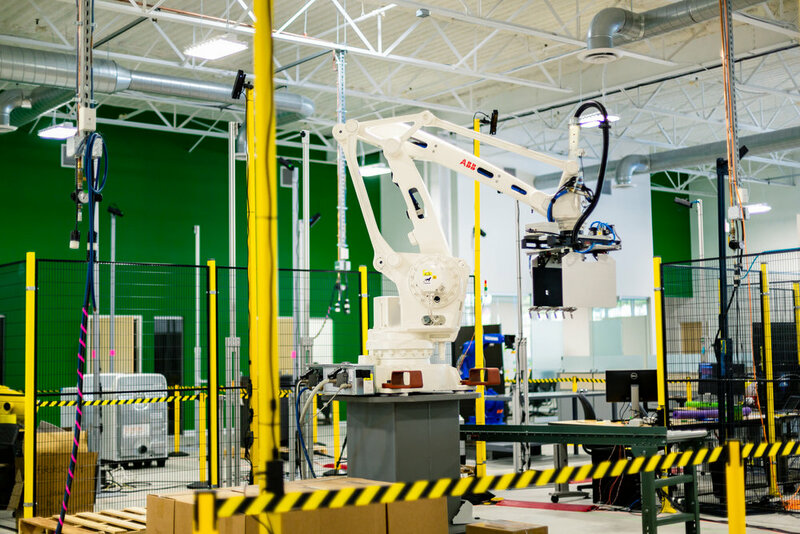 At Veo, we’re incredibly excited by what our robotics technology could do for the future of manufacturing. While we love the work we do with robot arms—they are genuinely awesome machines—we are, after all, a robotics company, not a robot company, and there’s a big world out there.